This week sees a new course on the PGA Tour roster, The Country Club of Jackson that came into to being in 1914, when a small group of businessmen purchased 100 acres off of Clinton Boulevard, five miles west of Jackson, this gave birth to The Country Cub of Jackson. At that time the Club was so far out of town that a local old gentlemen, provided transport for people who did not have cars. The original clubhouse was a large, old house on the property, which burnt down in 1936 and was replaced by an attractive, framed building and contained a large all-purpose room, ballrooms, small bar and a ladies locker room in the attic. Tragedy struck again with a fire that destroyed the clubhouse. 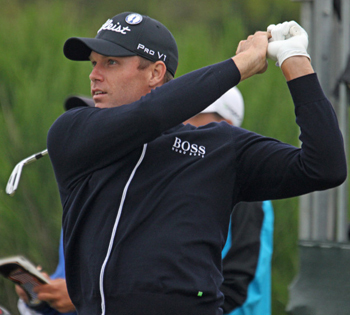 It’s been a while since we have tipped Nick Watney 25/1 with SportingBet – and you can tell by that starting price the bookies are not sure where the winner is going to come from this week. 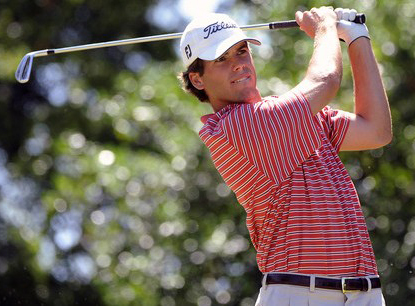 But Nick has the pedigree with five PGA Tour wins to his name including a WGC event and The Barclays. Watney lost his way last season with only two Top 10 finishes, but he had a good finish at the Wyndham Championship and at the Shriners Open, only a few weeks ago so there are signs the lad from Sacramento is on his way back. It’s been an eventful start to the season form Ben Martin 28/1 – with BetVictor – missing the cut at the Frys.com Open and then following that up with a win at the Shriners Open. Ben didn’t play at last week’s CIMB Classic but did make the Top 20 at the McGladrey Classic firing a third round 65 along the way. Martin only made the Top 10 three times last year from twenty-six events, but he does know how to win taking two titles on the web.com tour in 2013. Three starts and two Top 10s for Robert Streb 25/1 – with Ladbrokes – and although they have not been the strongest fields, the lad from Chickasha, Oklahoma will have gained valuable confidence and self belief. Robert missed thirteen cuts in his first full year on the PGA Tour in 2013 with no Top 10 finishes. Last season he missed only four cuts and had two Top 10s, one of which was a runners-up finish at the New Orleans Classic. When they say you learn by your mistakes, it certainly seems Streb is putting those lessons to good use. 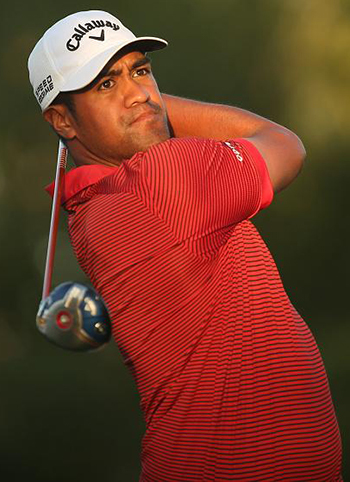 We have already tipped Tony Finau 33/1 with Ladbrokes – earlier in the season and the McGladrey Classic where he made the Top 15, where his opening round 71 really left him chasing too much, but his final round 66 did move him rapidly up the leaderboard on the last day. Although Tony is not new to the PGA Tour – he played one event each year in 07, 08 and 11 – this is his first full season after winning his card on the Web.com tour and with three Top 15 finishes from three starts, he is showing some great consistency and I don’t think it will be too long before he wins his first PGA title. Another player that has put in the hard yards and is showing signs of reaping the rewards for his journey is Kevin Kisner 40/1 – with BetVictor. Kevin turned pro back in 2006, winning and losing his tour card and played a full season last year after winning his tour card back, courtesy of a win and a couple of other Top 10s on the Web.com tour. Kisner seems to have learnt from those experiences and seemed to grind out finishes last year and had three Top 10s along the way. Which brings us to this season and two Top 25s from three starts, including a Top 5. Hudson Swafford 40/1 with BetVictor – missed fifteen cuts from twenty-six starts last season, but the good news is he did have five Top 25s and has seemingly taken heart from those finishes into the start of this season, where he has not been outside the Top 20 in his first three starts, with one of those being a Top 10 at the Frys.com Open. It all could collapse and go downhill, but only shooting one round of golf over 70, with nine in the 60s that shows some very consistent golf in those three tournaments.